Is your sewer line giving hard time? Is your sewer line being been blocking on frequent basis? Are you suffering the problem of clogged drains? On contacting the plumbing and sewer services company, have they suggested you the option of sewer jetting? And now, do you want to know, how does sewer jetting works on above problems? Sewer jetting is known by some other names too. It may call as “Hydro jetting” or “Water jetting”. When you have clogged drains, these powerful machines of drain cleaning which have high pressure water jets, which can easily clear the obstructions in commercial, residential drain pipes and the large municipal sewer systems too. because of which the professional plumbing and sewer cleaning companies are using Hydro jetting as one of the plumbing tools. This sewer jetter can be loaded in the truck and has the capacity to carry up to 1500 gallons of water for big sewer cleaning whereas the smaller water jetter can be loaded on the cart and can use for residential or commercial sewer problems. How does this jetter work? 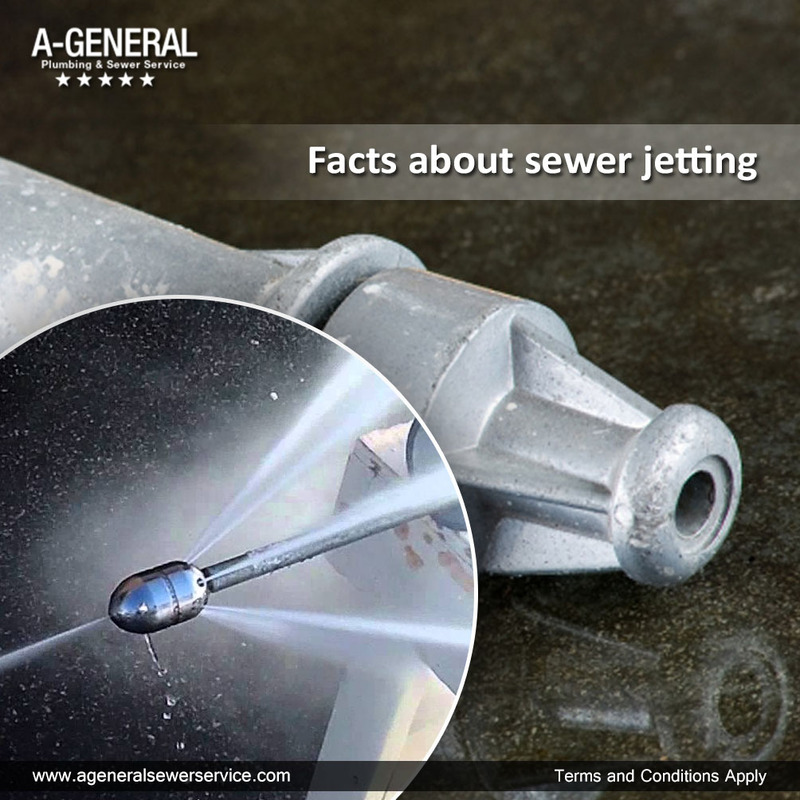 A sewer jetter has a motor or an engine, a hose reel with given length, different types of nozzles and a pump. The water source has one or many water tanks which helps the jetter in keeping balance when it is being towed to the site. The pump is the key factor by which the water is released in very high pressure when the sewer or drain line has to be cleaned and need to remove the obstructions from it. The water pressure is controlled here, depending on size of the obstruction. Usually, the sewer pipe cleaning starts from the lower end. The jet hose is withdrawn slowly, and the maintained, controlled water pressure helps in cleaning the sewer or drain line efficiently. Sometimes it just happens that it gets impossible to clean the line from the lower end, the pipe has to be jetted many times for removing all the debris. A skilled operator can only clean the sewer or the drain effectively, in spite of any type of obstacles in the sewer or drain line. All the plumbing and sewer providing services companies who provide work for residential and commercial plumbing use this sewer jetting services. The companies running their own businesses would prefer to invest in hydro jetting equipment, if they have large commercial business. Why hydro jetting is used? * It is the cost-effective way for cleaning the clogged drains. * It costs a little more than any other services but once you do the jetting, you do not need to face the problem of clogged drains again. So, in a way, it saves your money. * More sanitation is maintained in this method than any other traditional method of cleaning the sewer. * It is a good preventive measure of clogged drains or clogged sewer.